The WA-120BT is the most affordable and compact of the popular line of Nady wireless P.A.’s. Ideal for many applications, including use in classrooms, conference/ meeting rooms, churches, yoga and health clubs and small auditoriums, it is powerful, yet lightweight and easily portable. We are sure you will find this versatile system a powerful and useful tool for your presentations. The Nady WA-120BT includes a full-range speaker system with Bluetooth enabled built-in amplifier, mp3 player, mixer, built-in high quality quartz-locked, fixed frequency VHF wireless receiver precisely matched to the Nady WHT-120 sleek tapered handheld microphone that features a high quality dynamic cartridge for optimum true sound, maximum feedback rejection and minimal handling noise. 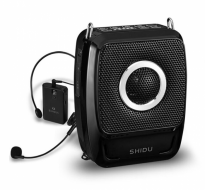 Ideal for many applications, the WA-120BT is a powerful, yet compact wireless P.A. system. 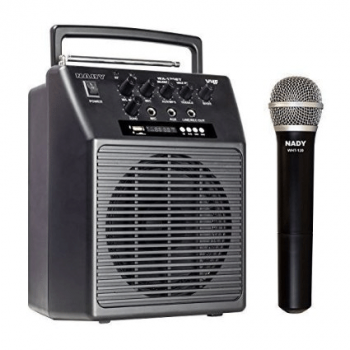 The WA-120BT is a full-range speaker system with a built-in quartz-locked fixed frequency VHF wireless receiver precisely matched to either a handheld, headmic or lapel microphone. 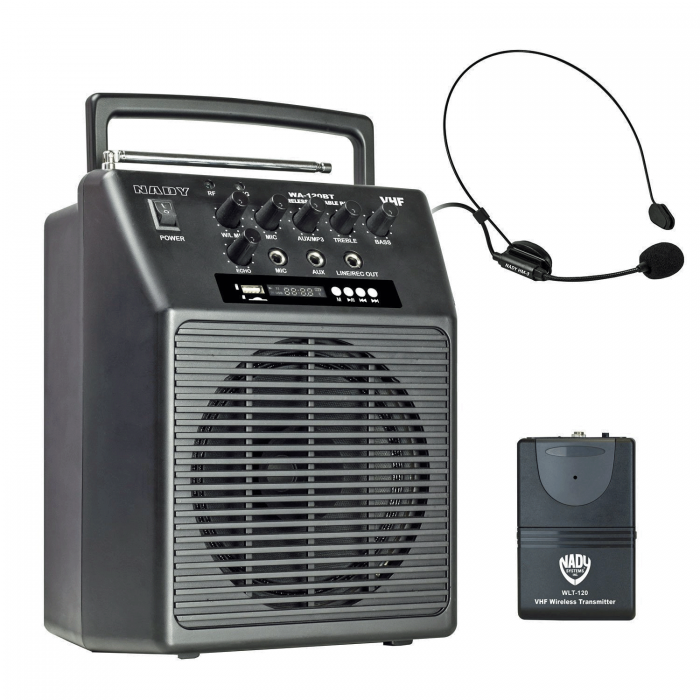 The WA-120BT also contains the option of streaming audio via Bluetooth making it great for community meetings, churches, yoga instructors, or small auditoriums. At 5.3 lbs and 20 watts, the WA-120 BT can be mounted on the optional MST-4B aluminum tripod stand for convenient placement in a higher position. 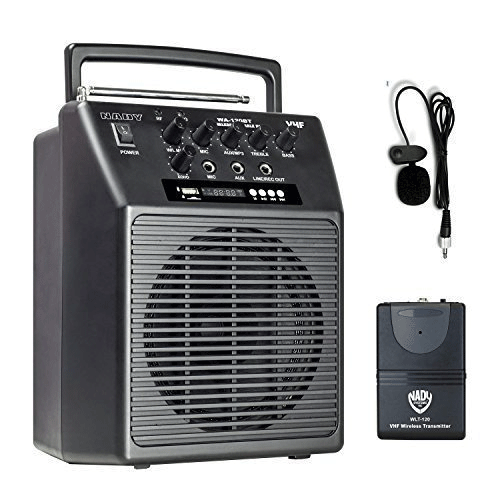 The WA-120 BT is powered by the included AC adapter or internally with either a Nady RB-120 rechargeable battery (not included) or with (8x) “D” cell batteries. See manual below for microphone details.